The International Luxury Travel Market, or ILTM Mexico, is hosting their 4th annual ILTM Americas luxury travel event at the luxurious Fairmont Mayakoba on the Riviera Maya, Mexico. This invitation-only event will be held from September 28 – October 1. ILTM Americas introduces luxury travel buyers to an unrivaled collection of international travel experiences. Top travel agents and advisors from the USA, Canada and Mexico will gather in Mexico to meet with the world’s top travel suppliers. The event consists of an opening forum and welcome reception, followed by three days of pre-scheduled appointments and after hours networking events. During the opening forum, attendees will have a chance to hear from several of the world’s most creative thinkers, including Greg Lindsay, who will be speaking about tomorrow’s travelers – who, Lindsay believes, will be city dwellers seeking the ultimate in luxury urban experiences. For travel advisors and suppliers attending the ILTM event, be sure to take along your own personal pocket WiFi hotspot with low cost data. You can purchase one for only $139 and add a 30 day data bundle each time you travel. There are no monthly contracts or fees. Download the Wireless Traveler Wi-Fi Calling app to makes calls locally in Mexico and to the United States for only 2 cents per minute. Call back to Peru, Argentina, Brazil, Columbia, Panama and Venezuela for just pennies with the Wireless Traveler app! It is available on both Apple and Android phones and you can call any landline or mobile phone. 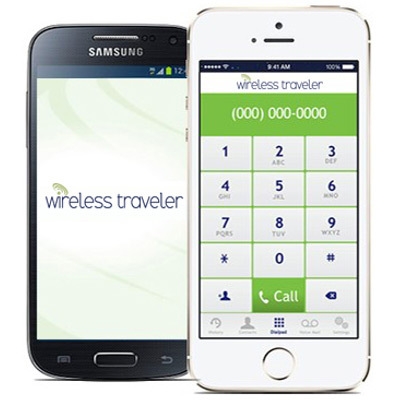 If the other person also has the Wireless Traveler app, you can enjoy free App to App calling! The added bonus is that each app comes with a US telephone number. Call today for more info at 1-631-421-1544.